Disclosure: Mail4Rosey was not compensated to help promote this prize and is not responsible for prize delivery. Seems like there's always somewhere I want to travel. I've got family in D.C. and Florida, and those are pretty short plane rides from Michigan. I've also got a bucket list of places I want to go in the United States. Southwest Airlines offers reasonable prices, a good number of direct flights, and because they have first come, first serve seating (in terms of when you check in online), they allow families with smaller children to board early. That last thing is important to me, second only to safety (though I do consider my children sitting with me a safety matter as well). They also carry your luggage for you free (what?? that used to be the norm, but now it's unheard of!). All of the above makes Southwest a good airline to me. That's why I was happy to partner up with other bloggers to help promote this most excellent giveaway! Anyone can sure use that, even the cat. My nephews would flip for one of those!!! I would love to get the Rocky Mountain River Race for my kids! What a fun giveaway! Good luck to everyone who enters. That is an awesome giveaway. We fly Southwest often when we go to Disney! Now that's a great prize! Southwest is also the best airline. What a great contest! I am meeting the Southwest folks next week, I will have to ask how I get in on this! I would like the Classic Pickup Truck with Bonus Construction Helmet and Tool Set. We are taking Southwest to Disney this fall. I've only ever traveled on Alegiant, so I can't wait to fly on a "real" plane lol. I've never flown Southwest. This is a great giveaway - and the fact that you don't have to pay baggage fees impresses me so much! I love this giveaway! Southwest Airlines is awesome and super affordable. $500.00 would go a long way. Oh yea, so many places I want to travel to also. The Young Explorer Desk - Furniture only would make a nice gift. What a useful giveaway. For my honeymoon next year, we're planning a trip to El Salvador and the air fare is horrible! I love that Southwest lets you check two bags for free. They also often have the lowest fares! Anytime we are able to fly Southwest, it's always our first choice. By far the best service. Great giveaway! I've never flown Southwest, but I've only ever flown once in my life and that was when I was 8 lol.... but I hear good things! not sure if my comment made in thru, so this is for just in case. What a great giveaway! I like the Slam 'n' Curve Slide. Super amazing giveaway!! I'd go to Florida if I won this prize! What an awesome giveaway. I've never flown Southwest before, but when I saw that video of the funny flight attendant...I was intrigued by SWA. I need to enter this! My family and I are planning on taking a European cruise soon, and first we have to fly to Europe! 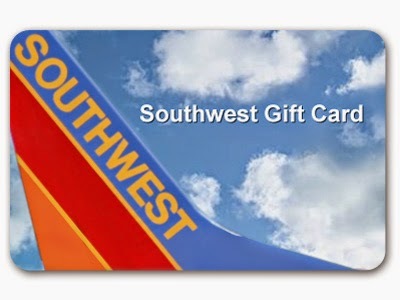 This is great and for Southwest, that GC amount will go along way. Their prices are reasonable! I just came from LA and I would love another trip to Los Angeles!! I would like the Picnic Play area so cute! Fantastic giveaway, I would add some money and take a 2 honeymoon and $500 is actually a pretty sweet amount. Now this is an awesome giveaway!!! What a great giveaway! I have never flown on Southwest before. I love Little Tike stuff. Kiddo has pretty much outgrown most of hers/theirs. We might be able to still use something like the bounce houses or trampolines. I would like to gift the 2-in-1 Art Desk and Easel to my god-daughter. I am definitely not a flyer but this sounds like a pretty awesome giveaway. This is an awesome giveaway! I enjoyed flying Southwest the last time I flew with them. Wow! That's an awesome gc! I don't fly but my dad and step-mom lives states away so I could use it for them to come and visit. This would be great to win! I could go and see my sister! I love Southwest! Living in Southern California, it's probably the airline we fly most often. What a great giveaway. It's way better than most I've seen. Who wouldn't want to see family? Great idea! Who doesn't need this? Awesome giveaway for a getaway. Even though Southwest doesn't fly into our airport, I'm totally entering this! I can drive to Chicago to fly out! That's an amazing gift card, I would love to win this! This is such a great sweepstakes! I would love to win this! thanks so much for bringing this to me! I need a new Cozy Coupe for the next generation. My kids literally wore the wheels off of theirs. I haven't seen my family in California in years, that would be the first place I go. Any giveaway that includes $ towards airfare sounds great to me. :) I'd use it to visit family in FL. What an amazing giveaway! I would love to win this prize! What a great giveaway!! I would go back to New York for sure! This is a really great giveaway! what an awesome giveaway. i'm not sure where i would go but it would have a beach and a place for the kids to play. I would love to go to California to visit my friend. We have known each other for awhile but actually never met in person. I could really use this! Really, truly! I visited Little Tikes' site and with a grandbaby coming in March I'm all over it! I want to buy everything! It will be a while before he or she can use it but I'm loving their Brick Oven Pizza Kitchen! What a great giveaway! Can you believe that I've NEVER been on an airplane?! Awesome giveaway! 500$ is the what I paid to go to the USA last month! Would be nice to win! What a great giveaway. Really would come in handy with the holidays around the corner! This looks like an amazing giveaway. I wish everyone that enters good luck. I would to fly home for my mom's 80th birthday in Nov.
Great giveaway! I have flown Southwest several time and had good experiences each time. This is an awesome giveaway! Thanks for the opp! I love the Little Tikes basketball set. My neighbour has one and it is so fun to watch his son play basketball with it. What a great giveaway! Who doesn't love to travel! An airline gift card. That must be useful for everyone living in your continent :-) Goodluck! I know someone who would love the a Design Master Artist Desk. What an awesome giveaway! Thanks for sharing this one. Love Southwest to San Diego. I really like the infant swings that Little Tykes sells. The Brick Kitchen Oven looks awesome! The Brick Oven Pizza kitchen is cute. This would be key for Thanksgiving travel! I'd like the rainbow chairs for my girls and their friends. My boys would love the Play Like a Pro™ Basketball Set!! The pizza oven is awesome !!!!! I used to work in a pizza shop, so I would like the Brick Oven Pizza Kitchen for the kids. I would like to gift the Cook 'n Play Outdoor BBQ to a friend's family. There are MANY things I want right now from Little tykes. I want a new cozy coupe. Oh yes, we wore ours right out. It's a wreck. Some new grandkids could use one. I LOVE the kitchens. Every kid needs a play kitchen. I LOVE the Extreme Coaster! Oh yes.. oh yes. I want that. I really like the Endless Adventures Tikes Town Playhouse.